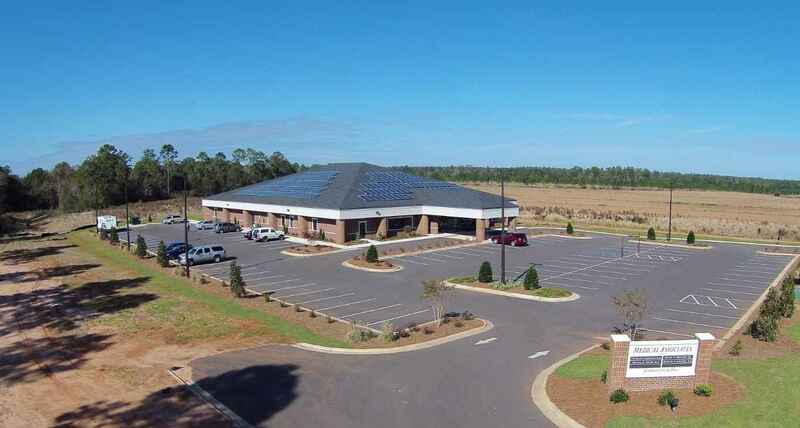 Project Description: LRA Constructors, Inc. (LRA) served as Construction Manager at Risk for construction of this medical office building for medical Associates of Albany in Leesburg, Georgia. 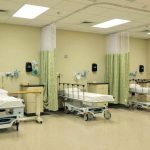 The 23,262 square foot facility includes roughly 19,000 square feet of first floor clinic space and 4,000 square feet of second floor mechanical/storage space. 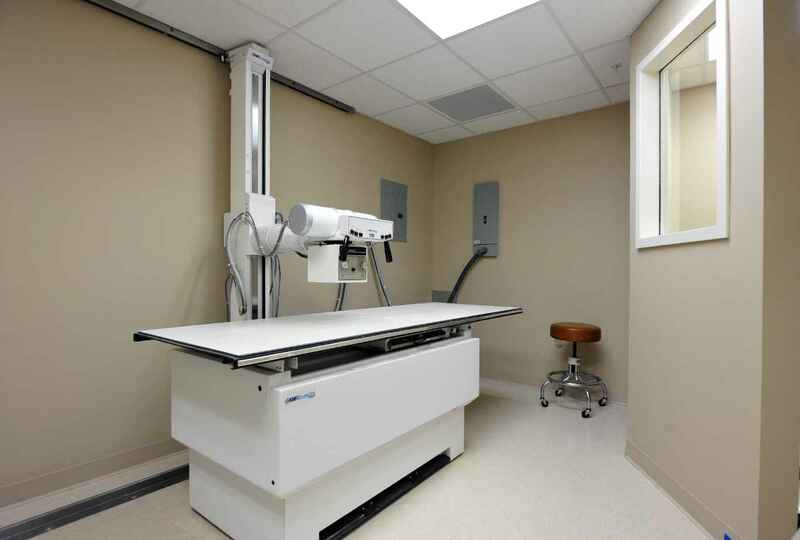 Clinic spaces included exam rooms, lab, blood draw, nurses’ stations, procedure rooms, X-Ray and various support spaces. 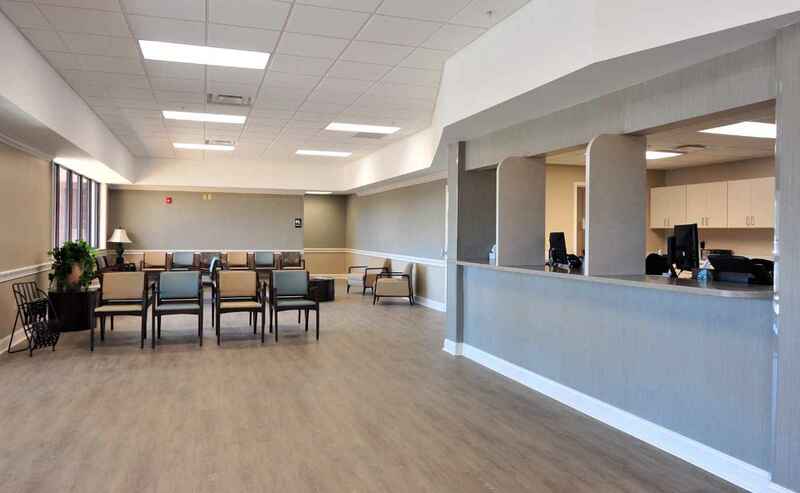 As Construction Manager, LRA worked closely with the client during the planning and design phases to manage the design, schedule and budget. The project incorporated unique building components such as a hip-type structural frame which allowed for an architectural roof not typically possible for this size of facility. Also, the structure allowed for great flexibility for arrangement of interior spaces. 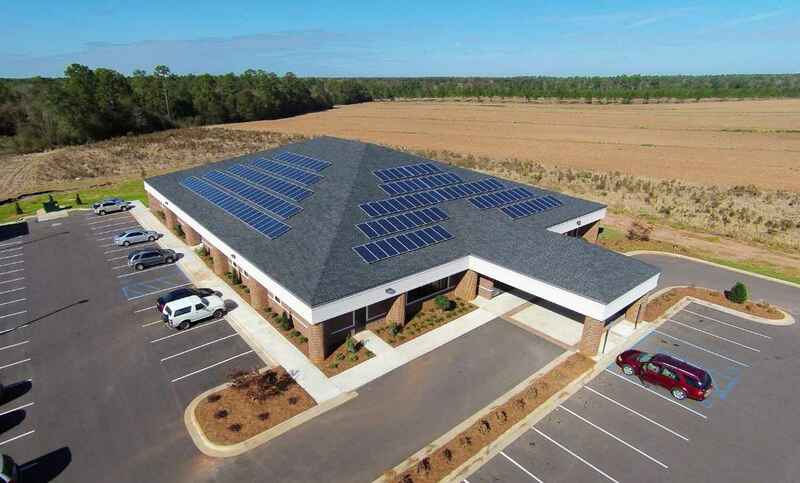 Additionally and maybe as one of the only healthcare developments in the South Georgia area, the building hosts over 300 roof mounted solar panels that generate over 100,000 kWh per year. As Construction Manager, LRA self-performed all foundation and structural work including metal roof decking and solar panel roof brackets.